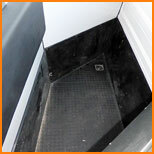 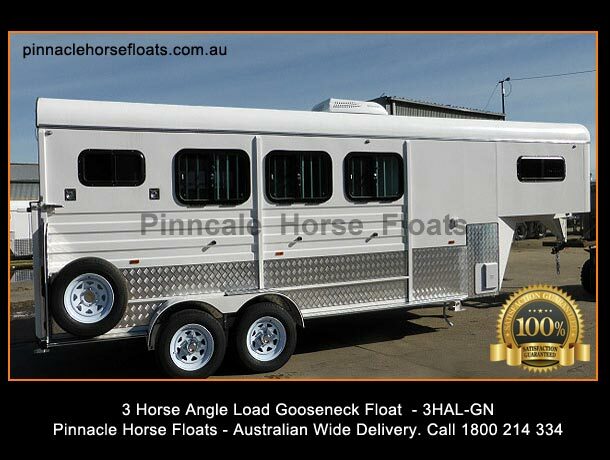 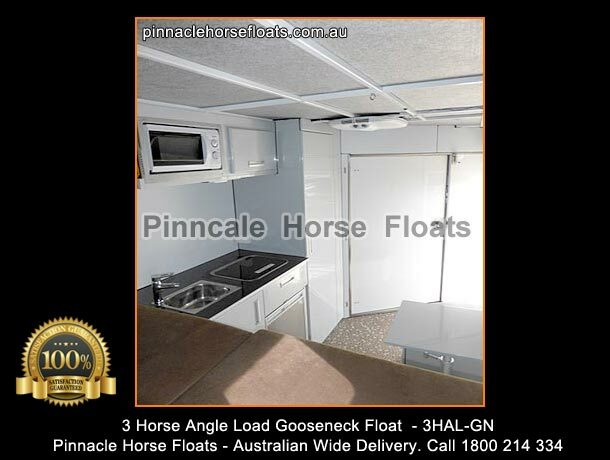 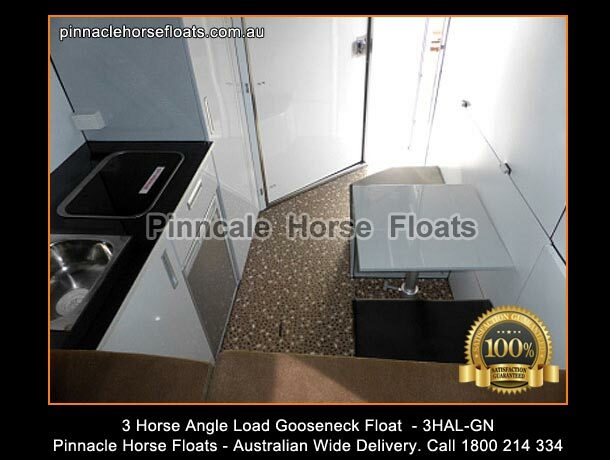 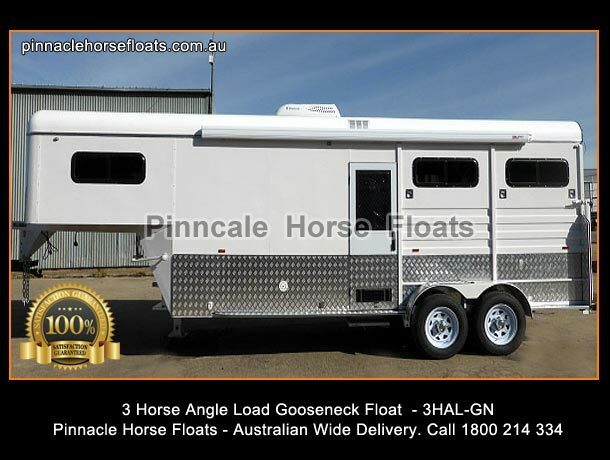 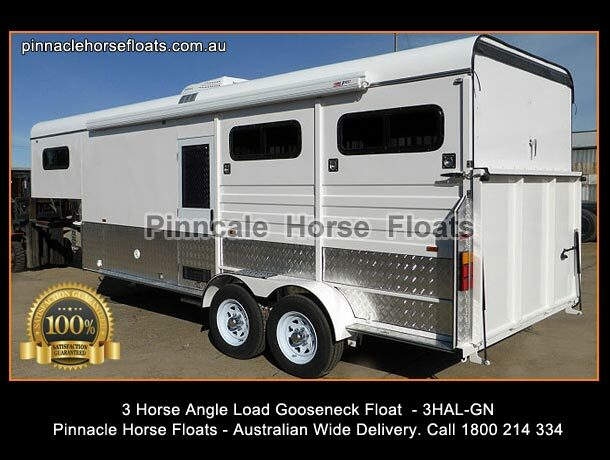 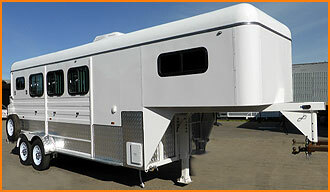 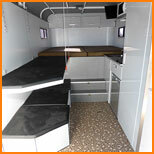 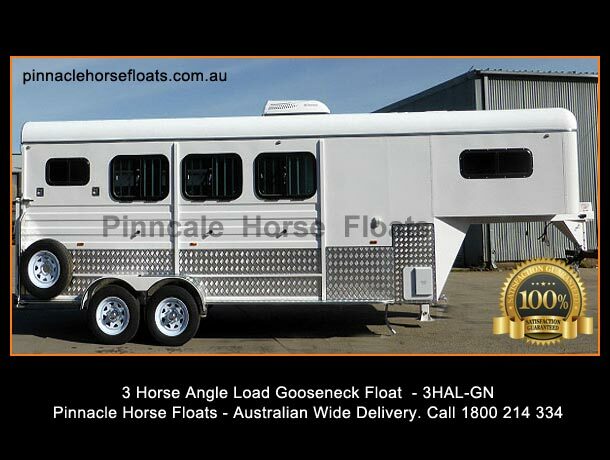 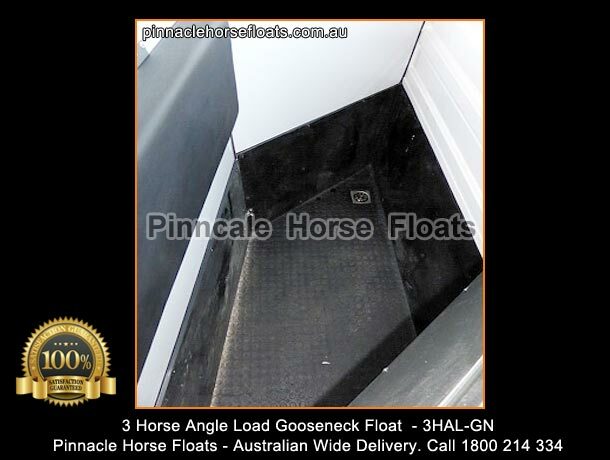 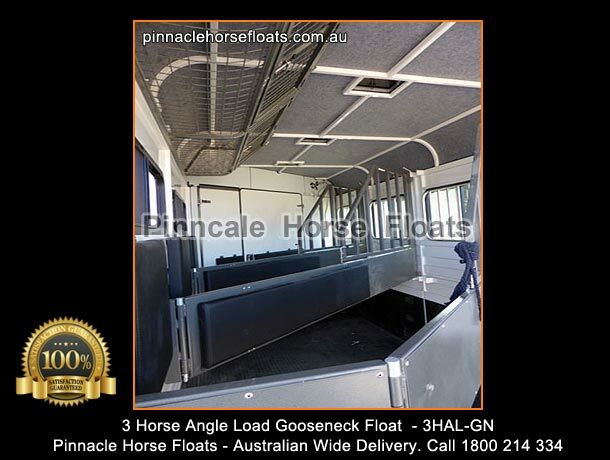 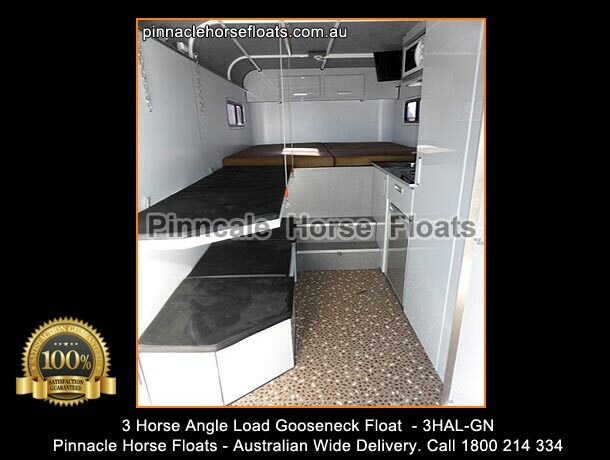 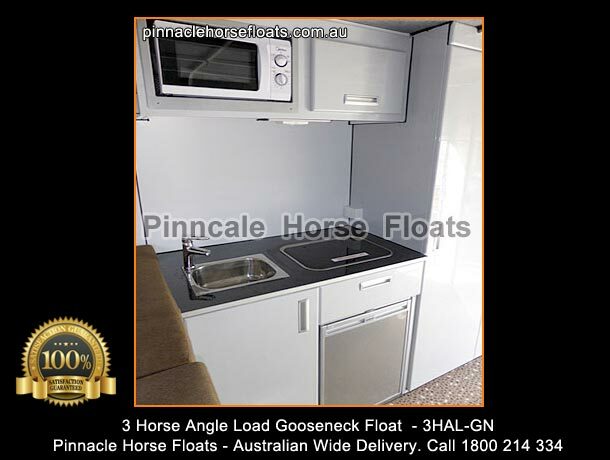 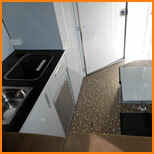 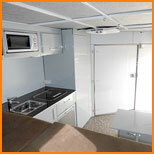 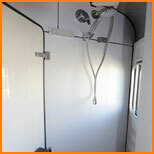 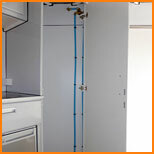 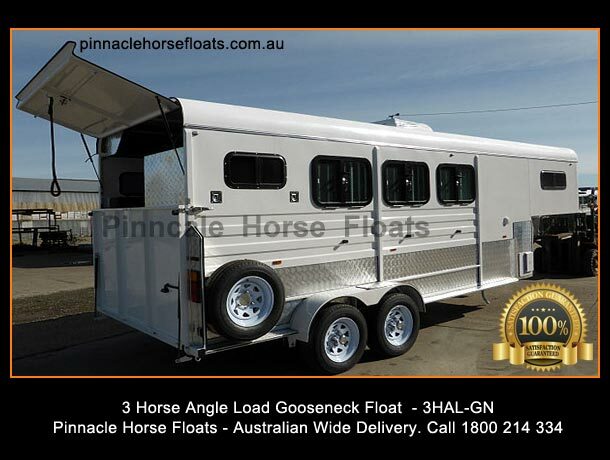 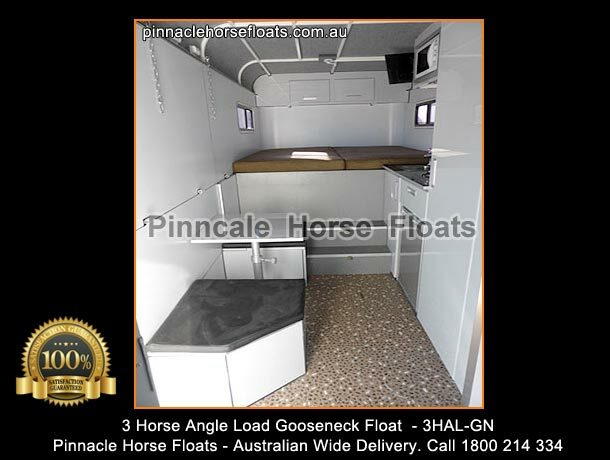 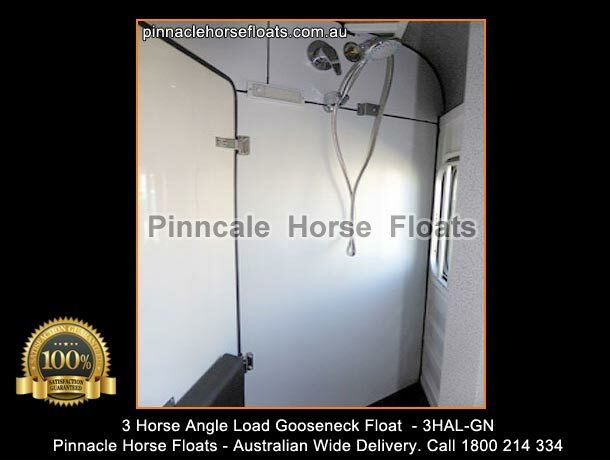 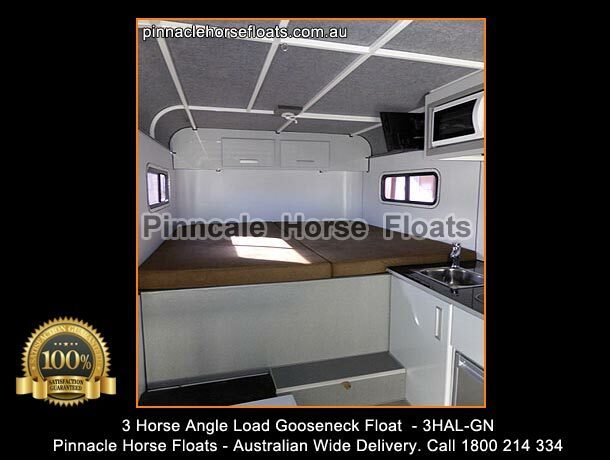 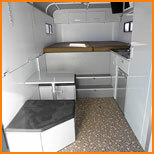 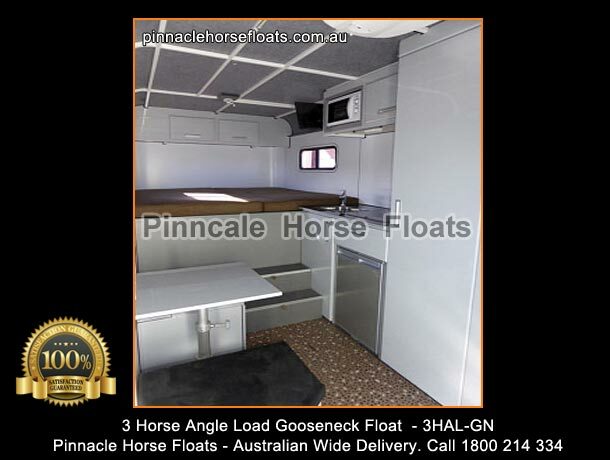 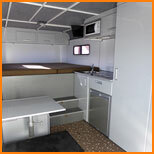 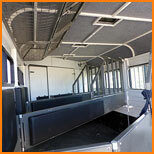 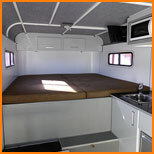 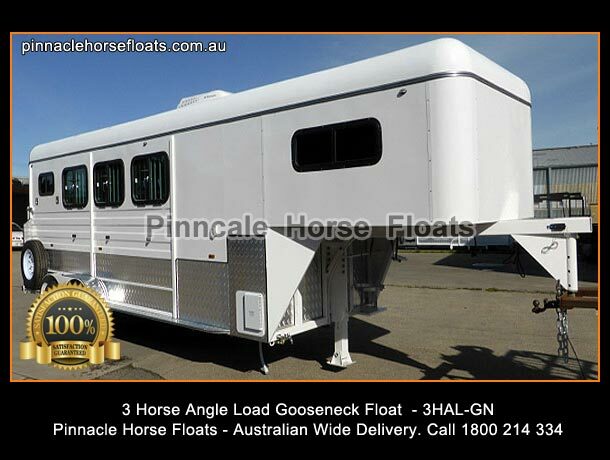 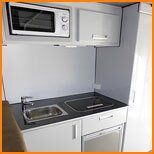 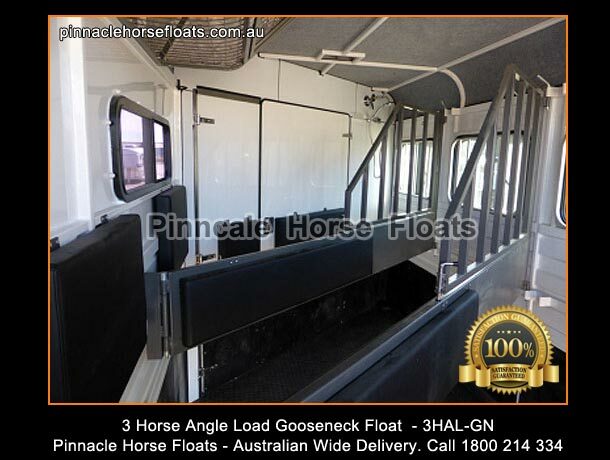 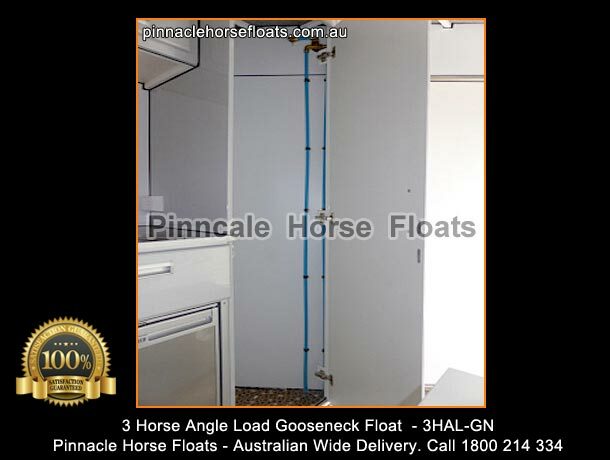 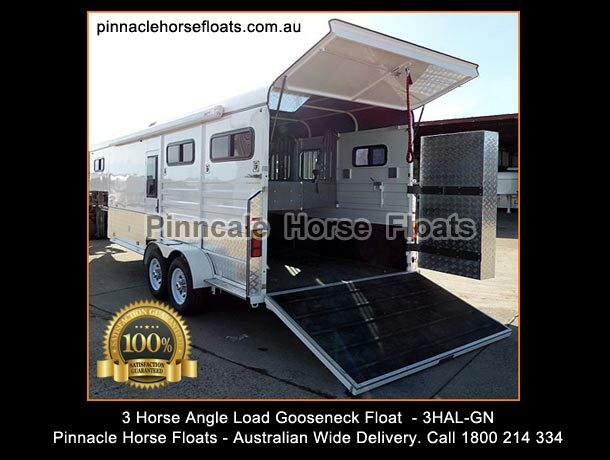 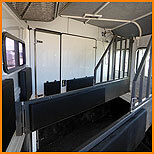 This 3 Horse Angle Load Gooseneck Float 3hal comes with all options including wind out Italian Fiamma Awning, Waeko 12/240 volt fridge/freezer, dometic reverse cycle airconditioner, suburban instat gas hot water unit, rear hot and cold shower, double bed, full size kitchen, self closing drawers, wardrobe, 240 volt microwave, benchtop with sink and tap, electric 12 volt pump. 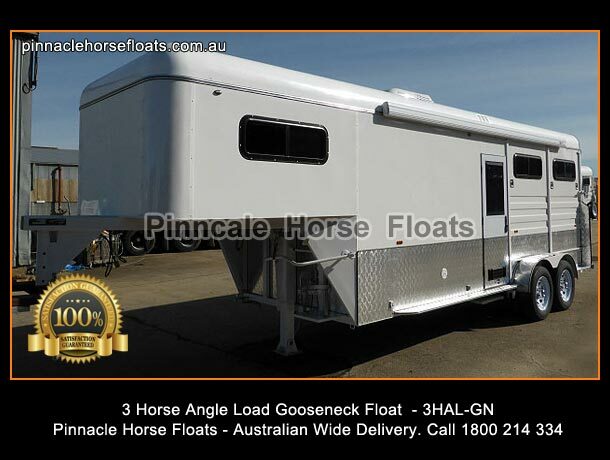 Also has 4 wheel 63mm solid electric braked axles With 5500kg carrying capacity, electric breakaway system, top quality roller rocker suspension, 4 x 8 leaf miltary springs mounted to hot dipped galvanised 4mm chassis, nuts and bolts are stainless steel and heavy duty 63mm trailer axles. 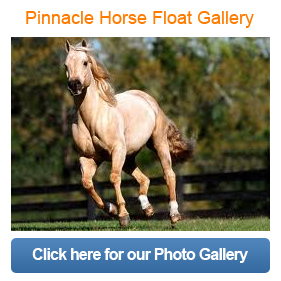 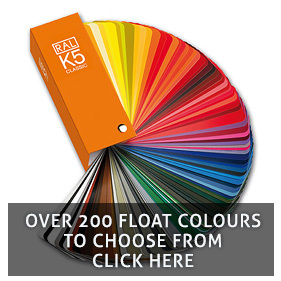 You Will Not Find A Better Built Float! 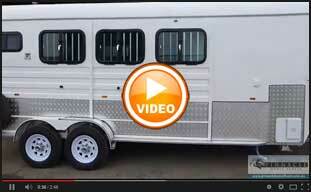 Brakes - full single axle electric brakes with "Brake Away System"